Introduction: A deficiency in 25, hydroxy Vitamin D is common throughout the world in both adults and children, being related to skin pigmentation, sun exposure, dietary intake, and obesity. Limited data are available for the neonatal age. This study aims to evaluate the status of Vitamin D in cord blood and the prevalence of its deficiency. Materials and Methods: This is a cross-sectional observational study, conducted in a tertiary neonatal center. Two hundred and sixty-one neonates were enrolled for study after evaluating 311 neonates; the data were tabulated for 255 neonates and evaluated. Results: Nearly, 73% (187) babies had deficient cord Vitamin D levels. One hundred and twenty-five (49%) cord samples were severely deficient (levels were <10 ng/ml). Upper socioeconomic status mothers had better cord Vitamin D levels (17.19 ± 1.91 ng/ml) than the upper middle (14.19 ± 1.00 ng/ml). Normal cord blood Vitamin D levels were associated with better birthweight than deficient (2.99 ± 0.57 vs. 2.80 ± 0.7 kg). Conclusion: Our study showed a high prevalence of Vitamin D deficiency in cord blood. Mothers from higher socioeconomic strata had better cord Vitamin D levels. Birth weight was significantly higher in newborns with normal cord Vitamin D levels. Background: Preterm neonates in the neonatal intensive care unit (NICU) receive a greater number of red cell transfusions (RCTs) than any other hospitalized group. Iatrogenic anemia, secondary to blood draws, increases the need for transfusions in preterm neonates. 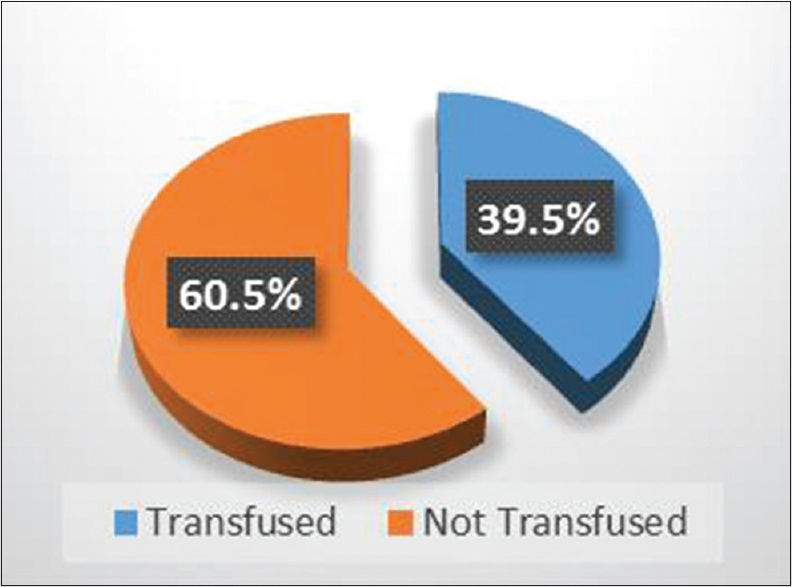 Blood transfusions are related to transfusion reactions and risk of transmitting infection. 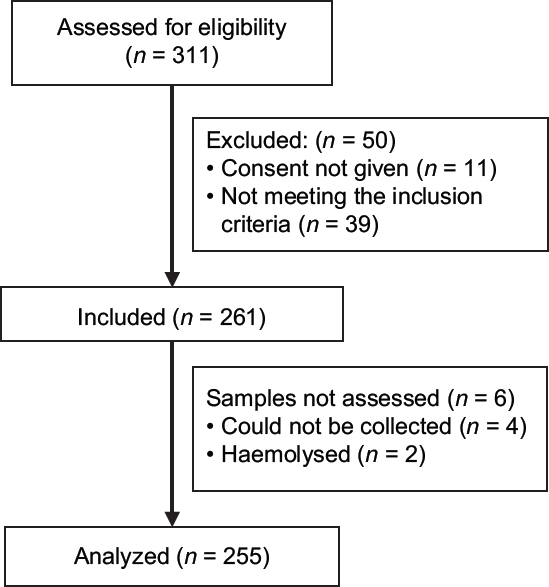 Objective: This retrospective study was done to find the incidence of RCT in neonates born less than or at 32+0 weeks of gestation and to establish whether requirement of blood transfusions could be further decreased. 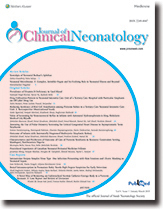 Methodology: A retrospective study of all intramural births less than or at 32+0 weeks of gestation who were admitted and discharged from the NICU of Fortis La Femme, GK-II, New Delhi, from February 1, 2017, to January 31, 2018, was done, and the data were analyzed by statistical software IBM SPSS Statistics for Windows, Version 21.0. Results: Forty-three babies were studied, of which 16 were female. The mean gestation age was 29.49 ± 2.35 weeks, and the mean birth weight was 1234.93 ± 368.737 grams. Seventeen (39.5%) neonates required RCT during their hospital stay, of which 11 (64.7%), 2 (11.7%), 3 (17.6%), and 1 (5.8%) neonate received 1, 2, 3, and 6 unit of RCT, respectively. The incidence of RCT was significantly higher in babies with sepsis and babies who received surfactant. RCTs were observed to be significantly higher in babies who were managed with invasive methods such as mechanical ventilation and use of peripherally inserted central catheter/central lines for administration of total parenteral nutrition. The number of RCTs required also correlated with the number of ventilated days and days on continuous positive airway pressure. Conclusion: Majority of the neonates born less than or at 32+0 weeks can be managed without the requirement of RCT. A restrictive blood transfusion policy, judicious use of blood investigation, use of microsampling and point of care investigations such as capillary blood gas, early initiation of enteral feeds and iron supplementation, prevention of sepsis, judicious use of venous/arterial lines and noninvasive management protocols has helped reduce blood transfusion in preterm neonates. Background: Antenatal hydronephrosis (AHN) is diagnosed in 0.5%–1% of pregnancies. Hydronephrosis has many causes, but vesicoureteral reflux (VUR) remains an important cause, as it could lead to serious damage to the kidneys. 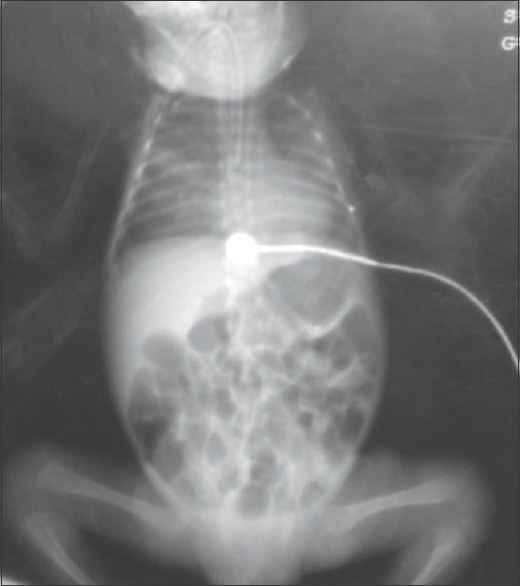 Screening for VUR by voiding cystourethrogram (VCUG) is done in infants with congenital hydronephrosis to detect VUR that could lead to repeated urinary tract infections (UTIs). Objectives: The aim of the study was to investigate the value of VCUG as a screening tool for VUR in infants with various grades of hydronephrosis. Materials and Methods: This is a retrospective chart review for all infants with antenatal hydronephrosis between January 2010 and December 2015 at King Abdulaziz Medical City-Riyadh. Comparisons were made between hydronephrosis grades and VUR. Differences, therefore, were assessed for statistical significance using Chi-square test as appropriate. Analysis was performed using SPSS version 22. Results: During the study periods, 203 infants (75% of the study population) underwent VCUG. VUR was diagnosed in 21% of all infants who had VCUG. VUR was significantly higher in infants with high grade compared to low-grade hydronephrosis (30% versus 14.40%, P = 0.005). On the other hand, no significant difference found between high-grade hydronephrosis and low-grade hydronephrosis in the severity of VUR (P = 0.169). Meanwhile, high-grade hydronephrosis was significantly more associated with UTI 27.20% (25/92) than low-grade hydronephrosis 14.70% (26/177). Conclusion: Infants with antenatal hydronephrosis (HN) suffer greater morbidity as reflected by the increased incidence of VUR and UTI at follow-up. For high-grade HN, our recommendation clearly goes with the current practice for doing VCUG to all high-grade patients. On the other hand, the risk of VUR and UTI, although higher in infants with high-grade HN is still substantial in infants with low-grade HN. However, it is still controversial to do VCUG for them. Hence, we recommend further big researches about low-grade HN and VCUG to come up with clear conclusion for this HN group. Objective: The study was performed to evaluate the clinical course and renal outcome of patients with multicystic dysplastic kidney (MCDK). Methods: We retrospectively reviewed the medical records of 44 infants born at and followed up at King Abdul-Aziz Medical City, Riyadh, KSA, between January 2010 and December 2015. Available clinical and radiological records were reviewed. Outcomes of simple and complex, right- and left-sided MCDK were compared using paired sample t-test and Chi-Square tests as appropriate. Results: MCDK was found in the left side 22 infants (50%). There were other associated renal abnormalities in 63.6%; however; only 6.8% of the infants had other associated extrarenal abnormalities. Vesicoureteric reflux (VUR) was diagnosed in 7 infants (16%) of the study population. The median duration of follow-up was 36 range (12–84) months. At follow-up, urinary tract infections were diagnosed in 7 (16%) and 3 (6.8%) patients had hypertension requiring medical treatment. Follow-up renal ultrasound scans confirmed compensatory hypertrophy of the contralateral kidney in 31 (71%) of patients. Complete involution of the dysplastic kidney was seen in 10 (27.7%) of patients whereas partial involution of the dysplastic kidney was seen in 20 (45.5%) patients at follow-up. In 14 patients (31.8%), there were no changes in the size of the dysplastic kidney at follow-up. There were 28 infants with complex MSDK (associated with other renal abnormalities). Compared to infants with simple MSDK, there were born at an earlier gestation (36.5 vs. 38.8 weeks, P = 0.018). At follow-up, infants with simple MCDK, suffered more episodes of UTI (31% vs. 7%, P = 0.039). Maximum urea (7.2 vs. 4.8, P = 0.041) and creatinine (110 vs. 69, P = 0.045) were significantly higher in infants with complex MCDK. Conclusion: Children with unilateral MCDK suffer long-term morbidities regardless of the associated other renal abnormalities. In addition, given the low incidence of clinically significant VUR and the risks associated with Voiding cystourethrogram (VCUG) screening, routine VCUG is not advocated in patients with MCDK. Background: Currently, prematurity has been noted to be the commonest cause of under-five mortality globally, well above pneumonias and malaria. The survival chances of babies born preterm in the resource constraints settings is unacceptably low though vary significantly depending on where they are born. Objective: The aim of the study was to determine the characteristics and predictors of survival of preterm babies at the University of Maiduguri Teaching Hospital, Maiduguri. Methods: This is a retrospective study that was conducted in Special Care Baby Unit (SCBU) of the Paediatrics Department of the University of Maiduguri Teaching Hospital, Maiduguri. The study was conducted over eight year period from 1st January 2008 to 31st December 2015. Data extracted from the folders of all preterm babies that were managed in the SCBU includes mothers age, booking status, previous preterm birth, educational status, employment status, Fathers age, educational status, and employment status, place of delivery. That newborns includes birth order, mode of delivery, type of gestation, birth weight, APGAR scores at 1, 5 and 10 minutes after birth respectively, difficulty in breathing, apnoea, fever, feeding problems. Results: There were 3435 admissions during the study period, out of these 1129/3435 (32.86%) were preterm babies giving a prevalence of 32.9%. Male preterm babies were 372 (52.1%), while female preterm babies were 342 (47.9%); with the male to female ratio of 1:1.08. 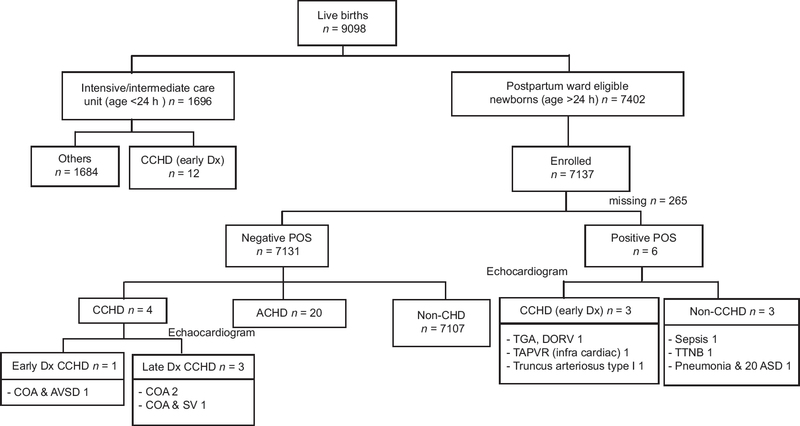 When factors with P – value < 0.1 in all crude analysis were adjusted in a multivariate regression analysis, weight class for GA (P = 0.108) and APGAR score at 1 minutes (P = 0.552) did not demonstrate independent association with PTBs survival while other factors including GA (P = 0.033), birth weight (P = 0.024), duration of incubator care (P = 0.001), place of delivery (P = 0.034) and APGAR score at 5 minutes (P = 0.018) showed independent prediction of PTBs outcomes. Conclusion: Babies born in hospital were 2.2 times more likely to survive than those born at home. PTBs born without asphyxia (Apgar score at 5 minute >7) were about 2.3 times more likely to survive the first six weeks of life. Neonatal infection with herpes simplex virus (HSV) either type 1 or type 2 can be acquired in utero, intrapartum, and postnatally. We report a case of intrauterine HSV type 1 infection with atypical cutaneous manifestations, misdiagnosed initially as neonatal sepsis. 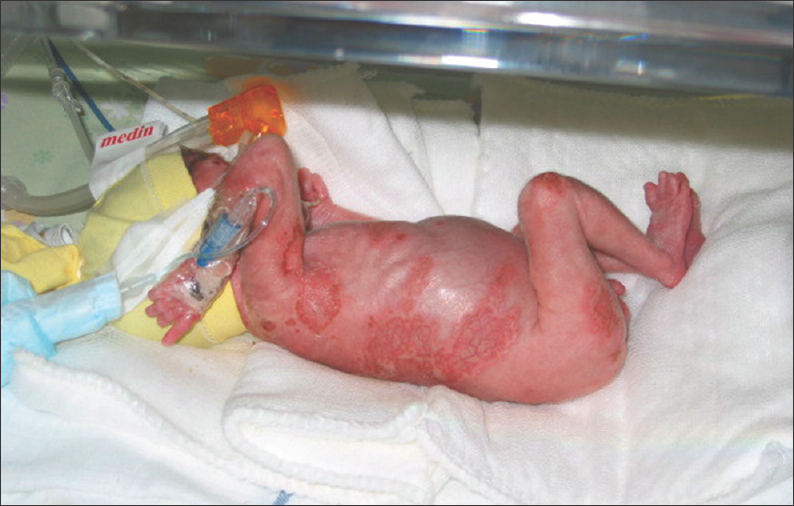 A high index of suspicion with diverse cutaneous manifestations kept in mind is necessary to diagnose infants with intrauterine HSV infection. 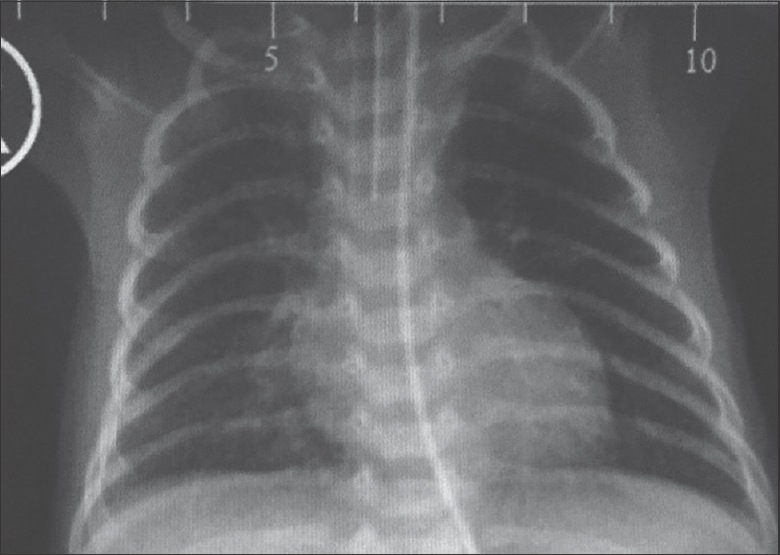 Airway obstruction by foreign bodies (FBs) in preterm neonates is a rare occurrence. Most of these FBs are iatrogenic and related to medical devices used in the neonate. 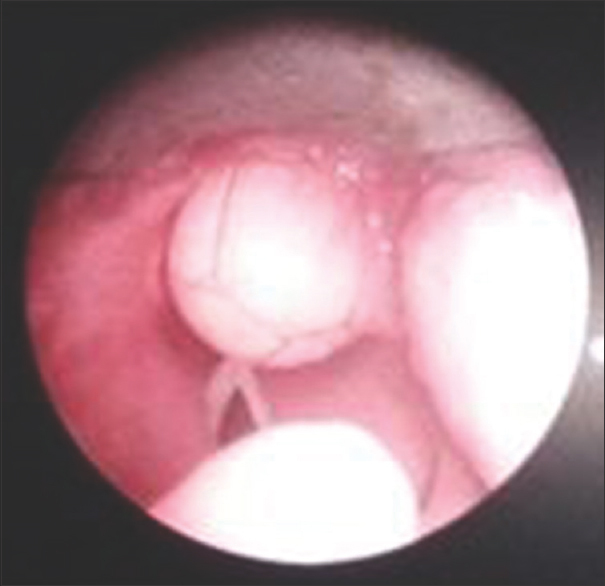 We describe a case of an endotracheal FB resulting from the cut end of an in-line closed suction catheter. The FB caused collapse/consolidation of different lung lobes with changes in its position. It was missed for a long period of about 3 weeks and was removed by applying direct suction through an endotracheal tube. Different innovative devices have been used to retrieve endotracheal FBs in small preterm neonates; however, this method is not reported in literature to our knowledge.